Bling Bling Mrs Singh: Deepika Padukone's Bridal Jewellery Stole The Show & Our Hearts! 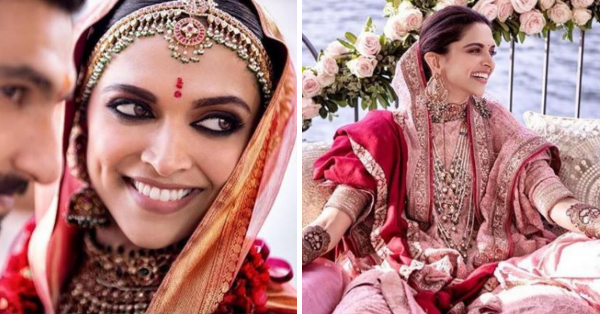 Deepika Padukone and Ranveer Singh just dropped their wedding pictures on Instagram and it won't be an exaggeration if I say that they broke the internet! It was beautiful how the couple took to social media to post each other's pictures from their wedding ceremonies. The pictures themselves were telling of the love and happiness the couple and their loved ones shared on their special days. But what stole the show for us was the beautiful jewellery the bride, Deepika was wearing. Just like the outfits, the actress chose designer Sabyasachi for her jewellery as well! Here's a closer look at the exquisite pieces. Deepika chose a gorgeous satlada haar for her Mehendi and complimented it with beautiful chandbalis. The triangle shaped necklace is made of strings of pearls with polki diamond and emeralds. This choice of jewellery perfectly complimented her outfit and made the bride's pink look even more special. From what we can tell, she wore no rings or bangles because of the mehendi, keeping this particular look minimal but so inspirational. Do need to mention the pallu on her head because she brought it back in style and how! Deepika was very true to her roots with this particular look. 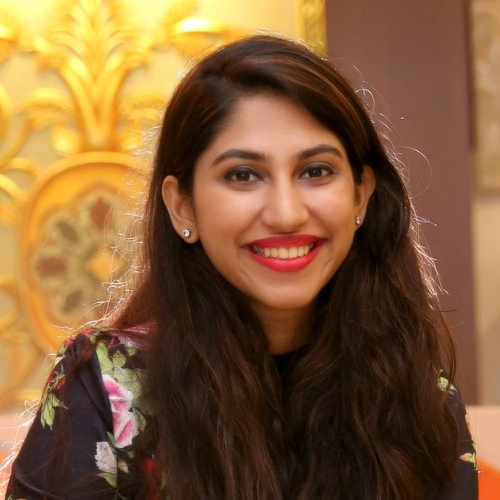 From her outfits to her jewellery, everything was inspired by her Konkani roots. Wearing a jadau necklace, mathapatti and earrings, she looked ethereal. Aren't the colours of her jewellery adding another dimension to her whole look? Look at all those gorgeous kadas she's wearing, including what looks like the kappu style bracelets. These bracelets have a lion-shaped clasp which gives it a majestic look. Also, isn't that beautiful flower shaped ring just amazing? It matches the red of her outfit and bangles perfectly. As they say, it's the little things that matter the most! Deepika was initially wearing a cream outfit which she later changed. To complement the outfit, she is wearing polki chandbalis and a matching necklace. The necklace may not be visible in this picture but if you really zoom in, you can see the outline of it! This is the look where she went all out with the jewellery. There was nothing minimal or subtle about it. It could be because the ceremony was according to Ranveer Singh's family customs and we know that there is nothing subtle about Ranveer ever! Also, oddly enough, this picture reminds me of Yeh Jawani Hai Deewani, except it's Deepika this time under the phoolo ki chaadar! She wore a polki jadau rani haar with matching earrings and maang tikka, which were equally elaborate. The question I do have here, though, is that did she combine a choker and a neck piece or was it one single necklace? Also, do notice Ranveer Singh's falcon polki pendant with layered ruby necklace. For her hands, instead of wearing a traditional gold haathphool, as most brides do, she chose to wear a polki ring on each finger in a different shape. Also, even though she was wearing a chooda, she still stacked a few polki kadas and pacheli with it for a more dramatic look. Brides, are you taking notes? Deepika just taught as that you can totally rock as much jewellery as you want on your wedding day as long as you do it tastefully!